One of the major challenges for computer science is to create the scientific and technological base for easy-to-use, large-scale information systems. Research in Artificial Intelligence aims to understand thinking and intelligence in ways that enable the construction of computer systems able to act intelligently and to build such systems. Within these two broad agendas, Professor Grosz’s research program aims to develop the capabilities needed for computer-agent systems to function as intelligent, helpful team members over the long term and in uncertain, dynamic environments. It has yielded theories and models of collaboration that provide the foundations for constructing systems able to work with each other and their users. The ability to collaborate is critical if we are to have systems that are helpful assistants and not merely tools. Better systems for human-computer communication, including for managing interruptions appropriately, are an essential part of this challenge. Professor Grosz has made seminal contributions to the fields of natural-language processing and multi-agent systems. She developed some of the earliest computer dialogue systems and established the research field of computational modeling of discourse. Her work on models of collaboration helped establish that field and provides the framework for several collaborative multi-agent and human-computer interface systems. Her research currently is focused on exploring ways collaborative multi-agent systems and collaborative interfaces can improve the systems patients and physicians use for health care planning and communication. Grosz is a member of the National Academy of Engineering, the American Philosophical Society, the Royal Society of Edinburgh, and the American Academy of Arts and Sciences and a fellow of the Association for the Advancement of Artificial Intelligence (AAAI), the Association for Computing Machinery, and the American Association for the Advancement of Science. She received the ACM/AAAI Allen Newell Award in 2009 for “fundamental contributions to research in natural language processing and in multi-agent systems, for her leadership in the field of artificial intelligence, and for her role in the establishment and leadership of interdisciplinary institutions.” In 2015, she was presented the IJCAI Award for Research Excellence in recognition of her "pioneering research in Natural Language Processing and in theories and applications of Multiagent Collaboration." Grosz is also known for her role in the establishment and leadership of interdisciplinary institutions, and she is widely respected for her contributions to the advancement of women in science. 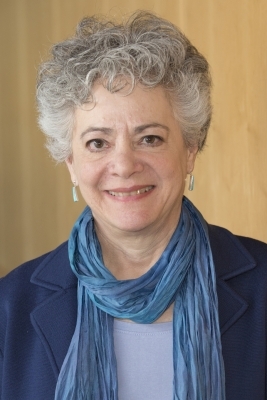 From 2007-2011, Professor Grosz served as interim dean and then dean of Harvard’s Radcliffe Institute for Advanced Study, and from 2001-2007 she was the Institute’s first dean of science, designing and building its science program. She chaired the 2005 Harvard University Task Force on Women in Science and Engineering.